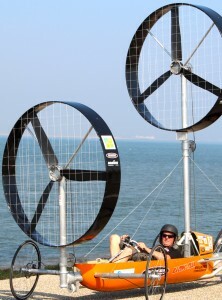 Gerard Broers in his Turbo Twin. The new Innovation Award is named after him. Due to a tragic accident, one of our Racing Aeolus personalities Gerard Broers, passed away earlier this year (2014). We want to honour Gerard by naming the newly introduced Innovation Award to him. Gerard has been involved in Racing Aeolus since 2008 while he was working at the car of ECN. In later years Gerard was involved with the team Spirit of Amsterdam. During the past years, he has helped many teams with his skills and enthusiasm! 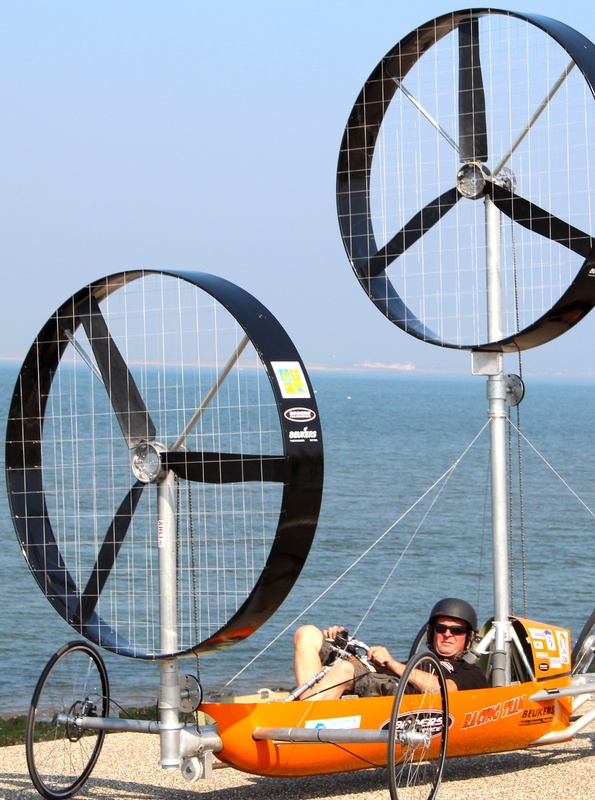 In last year’s edition of Racing Aeolus Multiserviceteam Broers won the race with his special wind vehicle, the Turbo Twin. The winner of the Innovation Award will be selected by the team captains of the participants. They will vote for what they consider the best innovation. Of course they cannot vote for their own innovation. The best innovation will be rewarded in the ceremony after the final races.